Hi everyone!! What a wonderful day it has been, I thought about getting home from work today just to upload my new video. Every time I think I got this video process down I learn something new which is awesome, just means eventually I might be a pro lol. 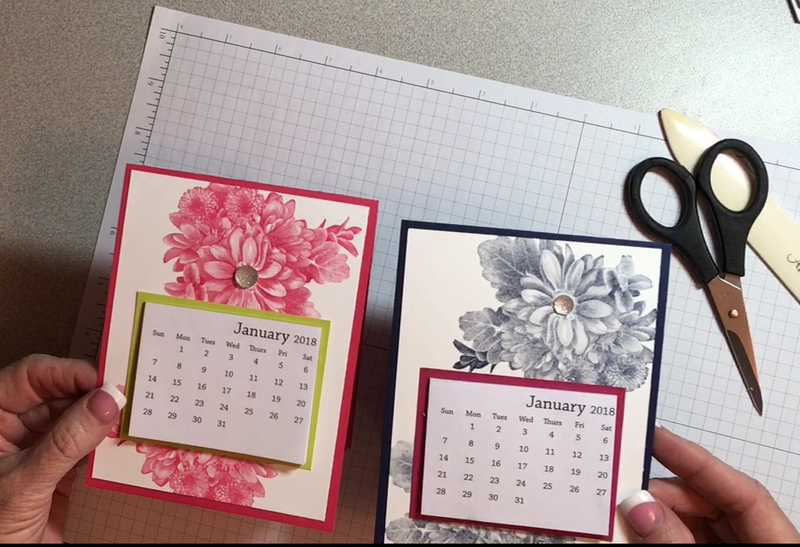 So I did a video of a project I shared at my open house yesterday which was great fun, we did three projects and tonight I’m sharing how to do a simple pedestal card. After I made it I thought of lots of things you can actually do with it, for example instead of a mini-calendar what about a cute pictures of your kids, spouse, pets? Or how about making a little pocket on it to add affirmations, quotes or something to remind you of how great you are? Don’t forget you can get Heartfelt Blooms free with any $50 purchase!! Here is the video to make it, but I challenge you to try something new and share it with me. My juices just started flowing. This week-end I had a drawing for those who attended my Open House, well how about this at the end of this week I will give away the same set I gave away yesterday? Post a project on my facebook page at this link https://www.facebook.com/craftydreamsdotcom/ or comment on this page. I will pick a Random name next monday giving everyone at least a week! and your choice of what you are matting, I did a calendar with Lime Twist but I recommend stay with the same color you made the pedestal with. Please follow along on the tutorial and while you are there please subscribe to get my latest videos!